Add metallic accents to your work with Zig Fudebiyori Metallic Brush Pens. Great for use on dark-colored papers. 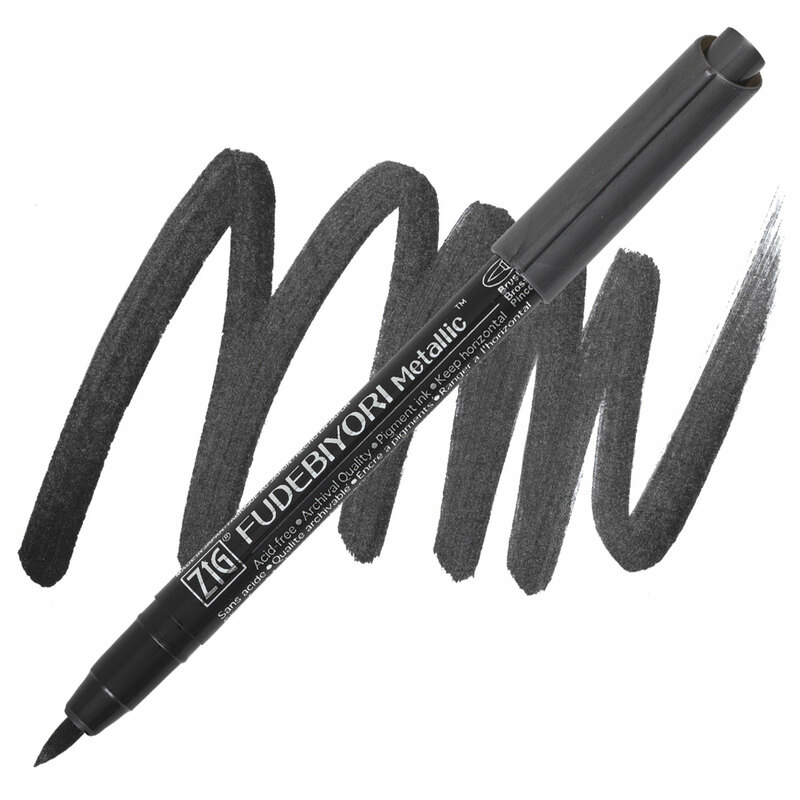 Flexible brush tip for creating details or filling in larger areas. Waterbased, waterproof pigments are acid-free, photo-safe, and lightfast. Odorless and xylene-free. ® ZIG is a registered trademark.™ Fudebiyori Metallic is a trademark.